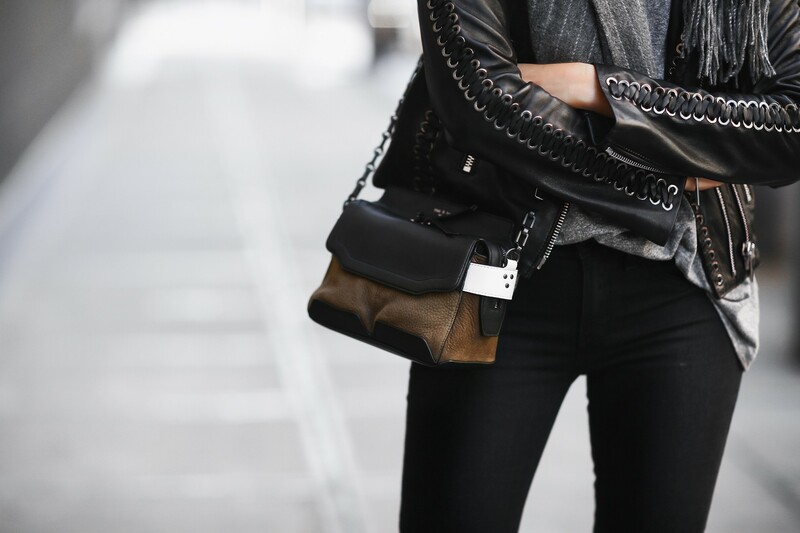 Today I’m styling a casual-chic look that is elevated by accessories. With the holidays quickly approaching, if you are like me, and still need to find the perfect gift I would like to offer a few suggestions. A comfy, high-quality merino wool scarf makes for a sure-to-please present. You truly can’t go wrong with a soft, luxurious looking (and feeling!) scarf that can be worn from day to night. It’s the best way to stay warm and look great while doing it. I love a great merino wool scarf because it’s wrinkle and static resistant, and it is lightweight and breathable too. The one I am wearing is by rag & bone and is of amazing quality (not itchy at all)…exactly the high caliber we’ve come to expect from rag & bone. The neutral pinstripes are very versatile and give any outfit that subtle pop of pattern and texture that will raise the chicness level of any look. 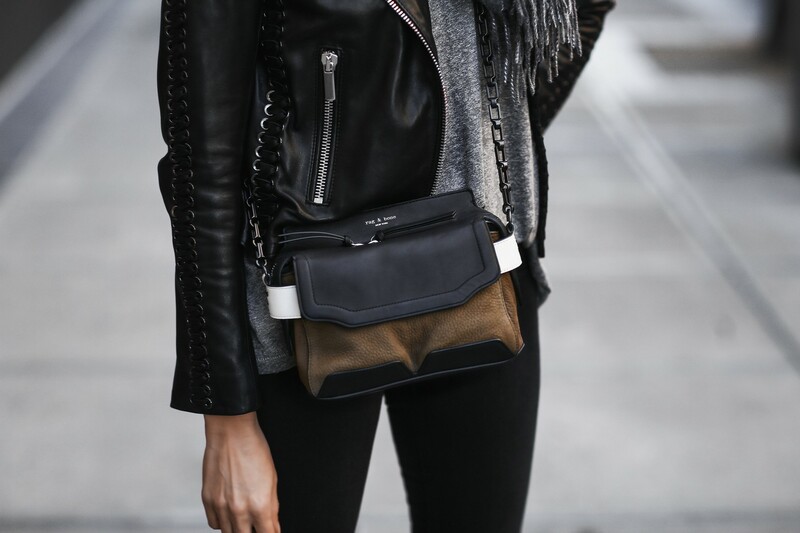 rag & bone’s micro pilot satchel is the ultimate small handbag. Don’t let the size fool you, there is plenty of room to carry everything you need for the day. I am obsessed with the style and find the front flap pocket genius for quick access to my iPhone 6s Plus (fits even the larger size smartphone)…no digging for it every time I need it. I love the scarf! The accessories totally make the outfit! So chic as always! Love Rag & Bone. Ahh I could use this scarf right about now, looks so warm and cozy!